What is a Radioactive Insulator Doing in the Pyramids Of Teotihuacan? Mica, a powerful radioactive insulator, has been found in the pyramid of Teotihuacan; a city that date back to, at least, 100B.C.! 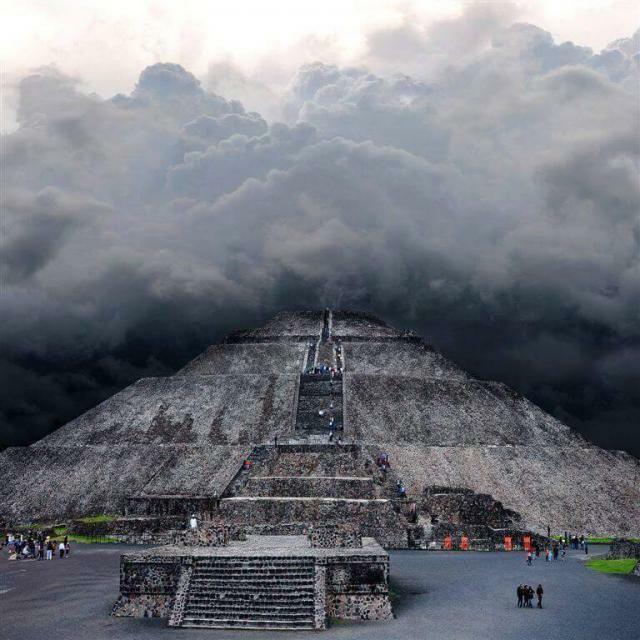 Teotihuacan is without a doubt one of the most mysterious places in the Americas. While the incredible complexity and architectural precision are some of the details that have baffled archaeologists for decades, the presence of Mica, a powerful radioactive insulator, is the biggest enigmas of this great ancient city. Teotihuacan was one of the largest cities in the ancient world with over 125.000 inhabitants. The myth says that the ancient citadel of Teotihuacan was built by giants that came from ‘above’. As you walk through the city you notice immediately the difference compared to other ancient cities: it looks both incredibly futuristic and ancient at the same time. This ancient city has a modern layout, you have a street of the dead that goes for miles along which you have all of the major ceremonial architecture, including some of the largest buildings ever erected in the new world. According to archaeologists the advanced design of Teotihuacan suggests that ancient builders had knowledge, not only of architecture, but of complex mathematical and astronomical sciences, and one of the things that are just incredibly amazing and different from all other ancient sites is the fact that from the air, Teotihuacan‘s city layout strangely resembles a computer circuit board with two large processor chips — the Sun Pyramid and the Moon Pyramid. Researchers have also found numerous and remarkable similarities to the Great Pyramids of Egypt. But just 100 years ago, there were no pyramids (you could see) at Teotihuacan. The staggering four kilometers of the Avenue of the dead and its well-known pyramids of the Sun and the Moon remained hidden from sight. Instead of the Pyramids, strange gentle slopes rose from the ground, equidistant from each other, which led to the assumption that these mysterious hilltops could have been artificial structures. They had been there for centuries, covered with vegetation and soil, forgotten like many other ancient sites. Curiously, when Hernan Cortes and his men conquered the Aztec empire in the sixteenth century they asked the natives who had built such a colossal city, to what the Aztec replied; we were not the builders of Teotihuacan, this city was built by the Quinanatzin, a race of giants who came from the heavens in the times of the second sun. The Aztecs were the ancient civilization that named the city Teotihuacan, but they did not know the original name of the city. Teotihuacan can be translated to City where men become gods. The Aztecs named the pyramids of Teotihuacan Tonatiuh and Metal tzaquati ( home of the Sun and the Moon). The Aztec empire told the Spanish that the Pyramid of the Sun was covered with black basalt in the distant past, but when they arrived at the city, it was completely abandoned. In 1906, a worker digging at the site made one of the most important and mysterious discoveries that would forever change how we looked at Teotihuacan. On the fifth deck of the Pyramid of the Sun, a worker discovered a thick layer of laminated mica covering a huge area. It was an odd place for the material to be found. At that time, in 1906, mica was invaluable in the market. It was used for the construction of capacitors and was considered an incredibly well-appreciated electrical and thermal insulator which had a melting point over 1,100 degrees Celsius. For some obscure reason, the architects of Teotihuacan placed it there in the second century BC, at the time of the greatest expansion of their civilization. The question was why? Most of the Mica found in 1906 at Teotihuacan was sold at a great price in the market. 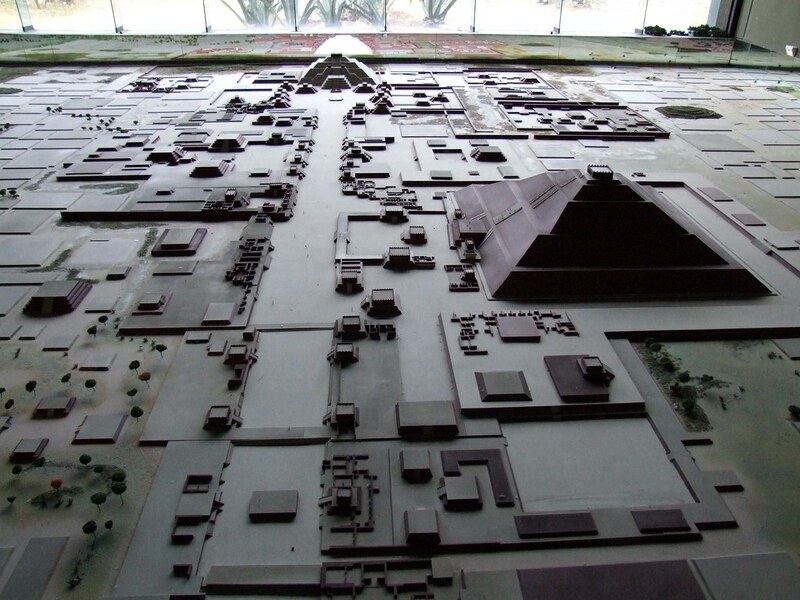 But not all of the Mica disappeared from Teotihuacan. Today, there are still a few places where you can find Mica in Teotihuacan. For some mysterious reason, the unknown builders of this great ancient city managed to extract and transport Mica, and incorporate it into the buildings of Teotihuacan, what no one is able to answer is why? What was Mica used for thousands of years ago? Was it part of some lost ancient technology? If so… what type of technology was it? And is it possible that the builders of the Ancient City were in fact ‘Gods’ as some legends suggest? Obviously, Mica was not incorporated to these constructions for decoration purposes because you couldn’t see it, so it is clear that this mineral was incorporated into these monuments for another purpose.